These goals include the creation of a Volunteering Life Committee, more detailed clubs and societies information available online, and a long-term strategy for the SU to promote class rep elections and training and to create more opportunities for students to get involved in SU campaigns . 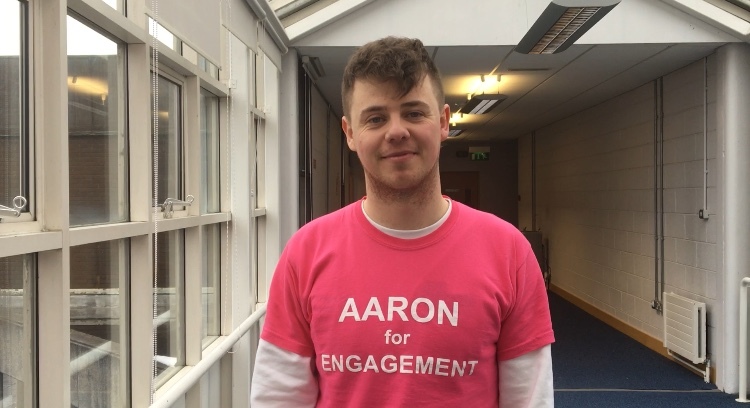 Harper said his past involvement in student government, DCU societies and SU campaigns made him interested in stepping into a larger role to confront bigger issues facing the student body. In relation to the volunteering aspect of his manifesto, Harper said he wants to ensure that volunteering is seen as equally important to clubs and societies. “Compared to clubs and societies, volunteering is kind of an after thought for students, so I would try to make it on par by amalgamating the Volunteer Fair and the Clubs and Socs Fair, so people coming in for the first time to the Clubs and Socs Fair see that volunteering is just as important as being involved in clubs and societies,” said Harper. To demonstrate the importance of clubs and societies as well, Harper aims to implement profiles for each DCU club and society that provides information on the group’s purpose, contact information, social media accounts and how to get involved. Harper also stressed the importance of creating a long-term strategy to improve class rep elections and training: “I would hope to create and implement a three year strategy for Class Rep training, so each year we can build on the training we get, and we have a way to ensure that we have the best class reps in the county.